For a long time, offices were being designed and built with only one dynamic in mind i.e. the maximum utilisation of the available space. The logic behind this kind of thinking is pretty obvious. For new businesses, leasing or buying an office space turns out to be the biggest drain on finances. 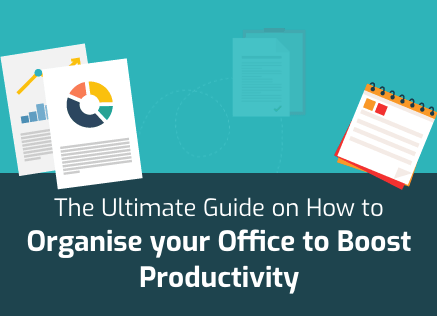 So, businesses wanted to spend as little as possible on office space while still managing to meet all their requirements. Consequently, they focused on the most efficient use of floor space and picked from multiple office workstation types on that basis. That attitude, however, has changed in recent years as businesses have started focusing on the relatively intangible productivity of employees over the efficient use of a business’s tangible assets. This change has occurred across the business world. Businesses now see their employees as their biggest and most productive asset and, thus, try to make them as efficient and as productive as is humanly possible. Effectively, when it comes to choosing from multiple office workstation types, the criteria has changed from space utilisation to process efficiency and functionality. Different office workstation types ensure maximum productivity in different situations. The variation occurs on the basis of the nature of the business in question. Answers to questions like how much privacy is needed, how much collaboration is required, and what level of individuality is important determine which of the many office workstation types suit a particular business. Each of the many office workstation types popular in the business world today has its own pros and cons that businesses have to consider. Usually, the trade – off is between individuality and collectivism or collaboration and privacy. Consider the following office workstation types. The open or benching plan can be defined as an arrangement where employees sit in open view of each other. This type of plan will mean that employee workspaces are not clearly demarcated. 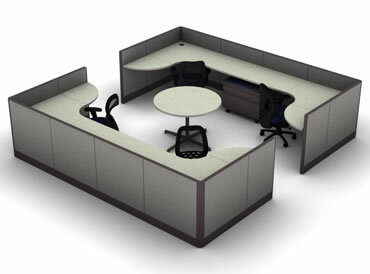 In fact, there is very little partition in office workstation types that are based on the open or benching plan. The term ‘benching’ is used for this type of office workstation types because their simplest form is a wide bench with employees sitting face to face in a row. In other words, two lines of employees sitting face to face. These office workstation types are primarily used in offices where collaboration is vital to success. Because there is not a lot of partition between employee workspaces, these types of plans allow for easy access and synergy. On the downside, such an office setup will quash individuality as there is literally no privacy. 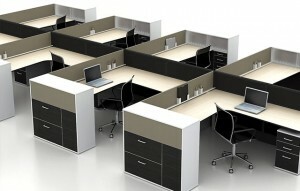 In the linear cubicles plan, employee workspaces are lined up in a row. However, these workspaces don’t have to be face to face because they are separated by panels that provide a modicum of privacy so long as the employees are sitting down. According to a lot of people, this is the most balanced plan for any office. The reason for this is that it allows for collaboration to a certain extent while simultaneously also preventing privacy from becoming a non – entity. 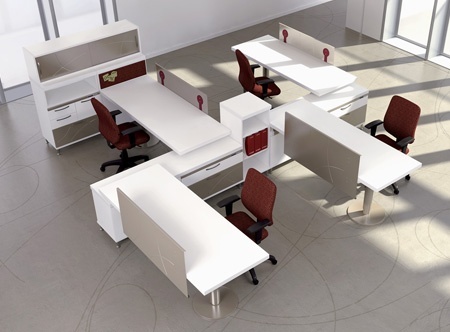 This plan does this by ensuring that employee workspaces are separated by panels which create a sense of privacy when an individual is sitting down. However, if the individual stands, then he may be able to see over the panel into the next office. The only downside with such office workstation types is that they don’t commit to either style. There is privacy but not enough because noises from other cubicles slip through. Similarly, there is potential for collaboration but not enough for it to be quick and simple. The open or benching office plan is at one end of the spectrum and the linear cubicles plan is in the middle of the spectrum. At the other end of the spectrum is the private office plan. 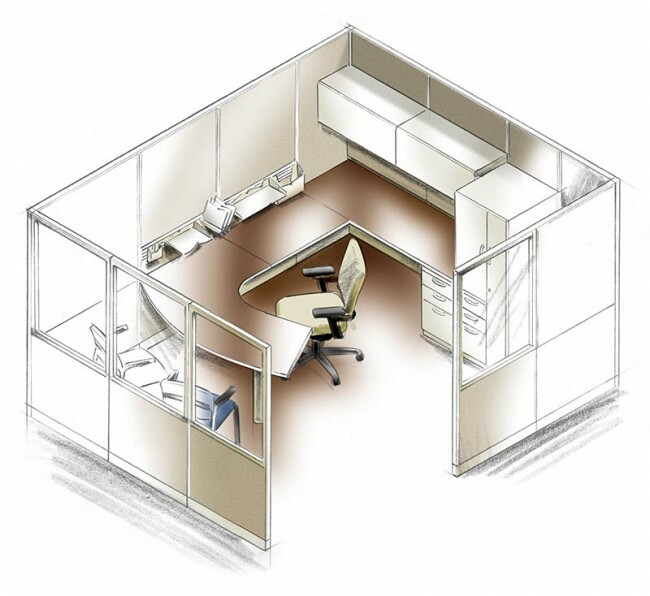 The private office plan either uses completely independent cubicles, cabins, or rooms. This plan is most often used for executives and managers because their work requires them to be independent and objective. These office workstation types offer complete privacy with high separating walls or even floor to ceiling walls. These also tend to be slightly larger in size and designed to be separated from other parts of the office. This means that the separating panels or walls used for creating such office workstation types need to be able to screen out noise and other distractions. However, many bosses and managers prefer to use glass instead of opaque panels so that they can keep an eye on their charges. 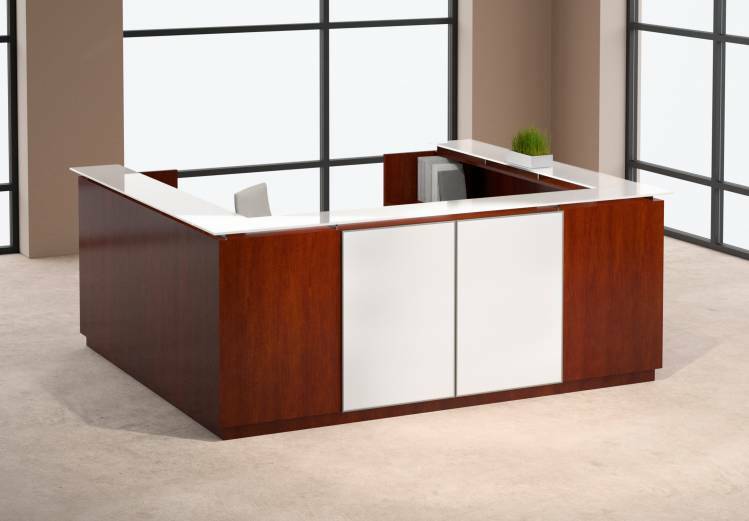 As the name suggests, the reception desk plan is mainly suited to reception areas of offices. These office workstation types tend to be twice or thrice the size of a standard cubicle. They are also wider and larger to allow the receptionist to properly discharge her duties. These types of workspaces often also have more than one entry to allow for easy movement. More importantly, the panels used in this type of workspace will tend to be low so that the receptionist can communicate with guests and employees while sitting down and manning the phone lines. The level of privacy offered by such office workstation types isn’t heavy owing to lower separation panels but there is still some. While all the other office workstation types focus on how individuals interact with each other in an office, the teams or section plan looks to focus on interactions between teams or groups of people. Seen primarily in industries such as government administration, advertising, and media, the teams plan is designed to allow individuals on a single team unfettered access to each other so that they can collaborate without obstacles, while blocking out distractions from outside the team. Divisions created with by such office workstation types are often referred to as sections. 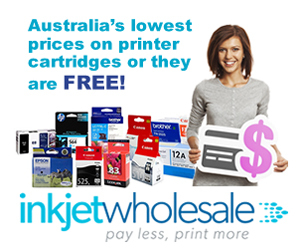 These types of workspaces provide team member with their own equipment such as computers but certain equipment becomes shared by the whole team such as printers, scanners, staplers, filing cabinets etc. While the above were the most common office workstation types used in the business world today, the trend is moving towards customisation. This trend is based on the fact that most businesses are trying to find customised office workstation types wherein their offices’ specific needs can be met through specialised plans. This customisation is happening through modification of individual elements of office workstation types. For instance, sizes and configurations are being tweaked a lot to reflect unique requirements of a group of employees, departments, or offices. Another way that businesses are playing with established office workstation types is by modifying separating panels. First and foremost, plastic panels can be replaced by glass panels to facilitate collaboration while keeping distractions at bay. Apart from this, the heights of these panels are also being modified to reflect specific privacy needs. Variations range from as low as 38 inches to 86 inches. Customisation can also be made to reflect aesthetic requirements in the form of wiring methods, lighting options, and even panel texture and designs.